In 1967, when the still-teenaged keyboardist Steve Winwood left the Spencer Davis Group (for whom he’d sung lead on hits like “Gimme Some Lovin'” and “I’m a Man”) to start a new band with guitarist Dave Mason, few observers thought their idea of blending pop, rock, and jazz would work. Immediately, though, Traffic scored giant hits with Winwood’s east-meets-west “Paper Sun” and Mason’s acid-jazzy “Hole in My Shoe”. 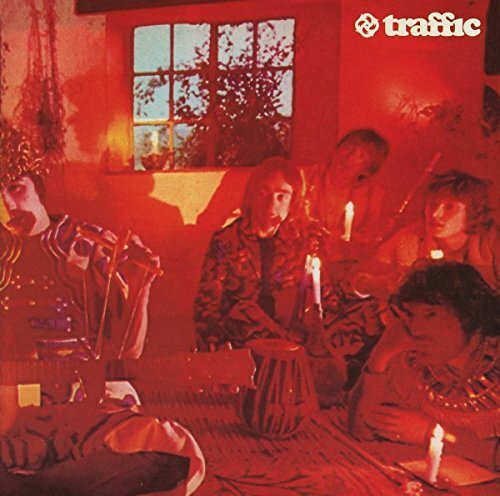 Between those songs, the smoking-guitar driven title track, the swinging instrumental “Giving to You” and the haunting ballad, “No Face, No Name, No Number”, Traffic’s debut established both players as elite members of the new guard of late 60s British rock. “I knew it wasn’t just a good piece or a good track for a record,” Traffic drummer and lyricist Jim Capaldi once said of their song “Dear Mr. Fantasy” the pseudo-title-cut from the band’s kaleidoscopic debut LP. “I knew it was going to be a real milestone-type piece.” His hunch was spot-on. The British quartet never cracked the pop charts with the spiraling psych-rock song. (In fact, they never even issued it as a single.) But the six-minute long “Fantasy” was designed more as a deep, mind-expanding bong hit than a quick joint puff: Steve Winwood’s bluesy howl and the group’s live-in-the-room exploration tapped into the same jam-sprung freedom flourishing at that time from America’s West Coast. At the time, the band Capaldi, Winwood, multi-instrumentalists Dave Mason and Chris Wood were holed up at Sheepcote Farm, a rural cottage in Berkshire, England, owned by baronet Sir William Pigott-Brown, a friend of Island Records founder Chris Blackwell. Experimenting with weed and LSD, and living among the filth of their own dirty dishes and laundry, the young men cooked up much of Mr. Fantasy at this ragged sanctuary. During one ordinary vice-filled afternoon, “Fantasy” emerged. Armed with a batch of songs that sprawled from psych to blues to soul to Beatlesque Indian nods, Traffic eventually moved to London’s Olympic Studios with producer Jimmy Miller, with whom Winwood had collaborated as part of his previous band, the Spencer Davis Group. Miller was crucial in capturing the song’s free-flowing vibe on tape, which they only achieved after scrapping the traditional recording booths and tracking as a live four-piece: Winwood on electric guitar and vocals, Mason on bass, Wood on organ and Capaldi on drums. A surprise fifth member was Miller, who augmented the groove by rushing from the control room to lay down some extra percussion. “Fantasy” thrives on that anything-can-happen energy: Capaldi’s thumping kick drum accents and tumbling fills, the double-time grooves, Winwood’s Jimi Hendrix-like solo, that tempo-shifting finale. From 1967 onward, it became a staple of Traffic’s live show performed more than any other song in their catalog. And kindred spirits followed suit onstage. Grateful Dead introduced a faithful cover in 1984, a showcase for keyboardist-singer Brent Mydland, and continued to perform it up through 1990. (Jerry Garcia even joined Traffic for a version during their 1994 reunion tour, documented on the live set The Last Great Traffic Jam.) Several other rock legends have paid tribute, including Hendrix, Crosby, Stills & Nash, mid-’90s Fleetwood Mac (featuring a briefly tenured Mason), Peter Frampton and Eric Clapton (alongside Winwood).